I recently got back from a trip to Italy and had an amazing time! Shadow has been to Italy a bunch of times so I know she’s the Italy expert but I wanted to share my experience/trip with you guys so you can get a first-timers perspective! (Update: Check out my Florence and Venice guides from the same trip to Italy). Ok so first some basics, we traveled from JFK to the airport in Rome and then took a train to Florence and then Venice (expect travel guides for Florence and Venice soon!). The flight time was about 9 hours with a 6 hour time change. We went at the end of April and it was a little chilly but compared to what the forecast was, we got super lucky. 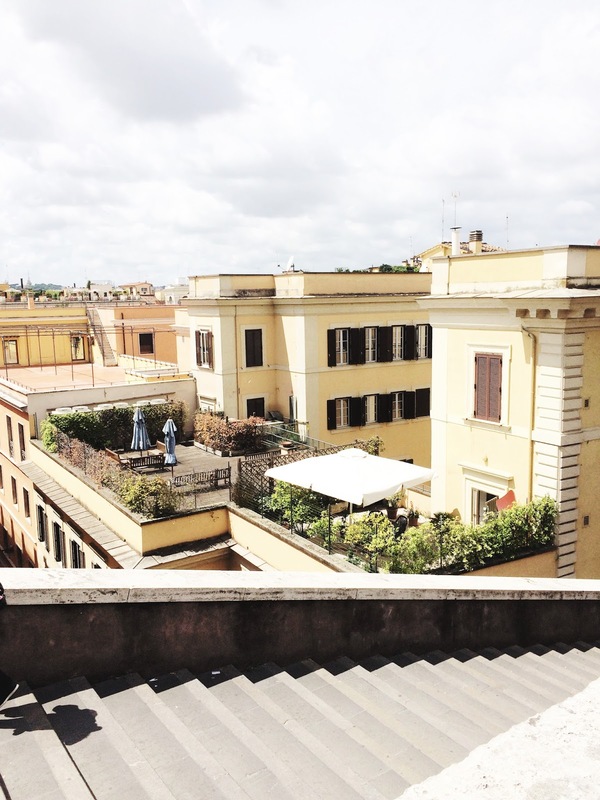 We stayed in Rome for 3 days and overall had an amazing time! A Light Rain Jacket - As I said, it was a little chilly and a little rainy so a light rain jacket was a must. Walking Shoes - Yes, sneakers are not always the most fashionable shoes but a good pair of sturdy walking shoes will make a huge difference in your trip. Whether you’re shopping around or walking through art galleries you’ll definitely be happy for a comfortable pair of walking shoes. Skip-The-Line Passes - I’m not going to lie, there are a ton of tourists in Rome. So, if you are planning on doing a lot of sightseeing, I totally recommend pre-buying tickets. These will often help you skip the line and will make the trip much less hectic. The Inn at the Roman Forum - We stayed here, 2 minutes away from the Roman Forum, and we loved it. The staff was super nice and helpful and the hotel itself was in an amazing location, walkable to almost everything! The rooftop terrace area was gorgeous! Trinity Guest House - If you’re looking for something a lot more cost efficient the trinity Guest House is a great option. While I haven’t stayed here myself, I’ve heard that it is an amazing hostel. It’s right in the middle of the city and is super clean and has great amenities. Anywhere in Trastevere - This was probably the cutest town/area of Rome we visited. Literally every single restaurant around here looked amazing! Urbana 47 - This is a great restaurant right near the colosseum. The food is great, a little slow, but still great. The restaurant itself is so cute and sitting outside is a great place to people watch. Fatamorgana - This is an amazing gelato place also right near the colosseum. It has amazing flavors and isn’t super overpriced. My favorite was definitely limone (or something like that). Visit the Colosseum - The Colosseum is a total must when you’re in Rome. It is a little bit tourist-y but I completely recommend going to see it. Visit the Vatican - When you’re in Rome, you’re only a short ride away from Vatican City. Seeing the Vatican and Sistine Chapel was amazing and I totally recommend it, even if you’re not religious or that into art. Visit the Roman Forum - The old ruins in the Roman Forum are breathtaking. It’s fun to walk through and you’ll really get a sense of Roman history. Shopping - Rome has amazing shopping destinations. The streets are lined with amazing stores and boutiques and they’re so much fun to pop in and out of. And even if you aren’t looking to buy anything, it’s so much fun to just window shop! So here it is! I had an amazing time in Italy and I totally recommend it. My favorite thing was probably just walking around the city (and bonus, it won’t cost you anything!). Share any thoughts or tips for traveling Rome down below!